Epiphany Trust’s work in Bangladesh began in May 2013 with the launch of Child Action Bangladesh to help fund two outstanding and pioneering projects for children and young people. In the past 40 years, Bangladesh has been able to cut poverty by more than half. However, despite this it remains a low-income country with substantial poverty, inequality and deprivation. At least 45 million people in Bangladesh, almost one third of the population, live below the poverty line, and a significant proportion of them live in extreme poverty. The poverty rate is highest in rural areas. 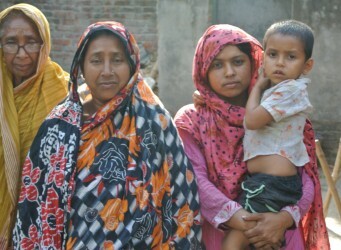 Many Bangladeshis have an inadequate diet and suffer from periods of food shortage. Half of all rural children are chronically malnourished and 14 per cent suffer from acute malnutrition. Our in-country partner ‘Tauri Foundation’ was formed in 2003 in order to help children within Bangladesh whom have disabilities. 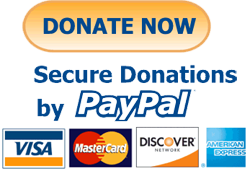 In close connection to Epiphany Trust’s ethos, Tauri Foundation’s vision is of an inclusive society that is free from abuse, exploitation and discrimination for all children irrespective of religion, ethnicity, social-economic status, gender and disability. Within the Northern Region of Bangladesh alone, there are approximately 4 million people with special needs. The harsh reality is that outside of the work of the Tauri Foundation and similar charities/NGO’s very little is being done to support and help these individuals and many live in extreme poverty this therefore makes the work of Tauri Foundation all the more essential and the support from Epiphany Trust imperative. The projects within Bangladesh are proving to be immensely successful and include; activities related to child rights, a special school catering for students with disabilities (90% of whom have Autism), training of staff and parents, therapeutic intervention, outreach programmes, livelihood support for poor children, rehabilitation, and counselling. After the collapse of the Rana Plaza factory in Dhaka, Epiphany partnered with the Tauri Foundation sending a container of goods including disability aids and beds donated by Wigan and Leigh Hospice. Since that time and again working in association with Tauri we have financed the construction of 40 wells providing clean drinking water for remote rural areas. Local restaurateur and Newton & District Jubilee Rotary have made considerable contributions. A further 20 wells are planned.